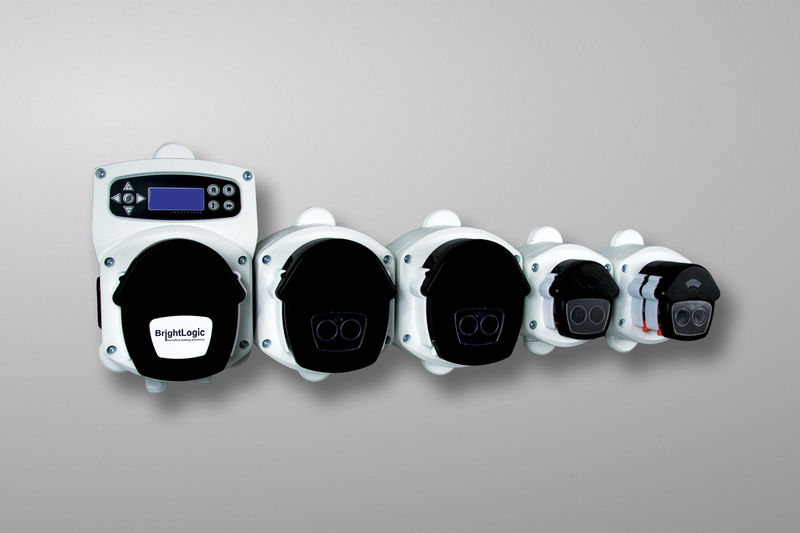 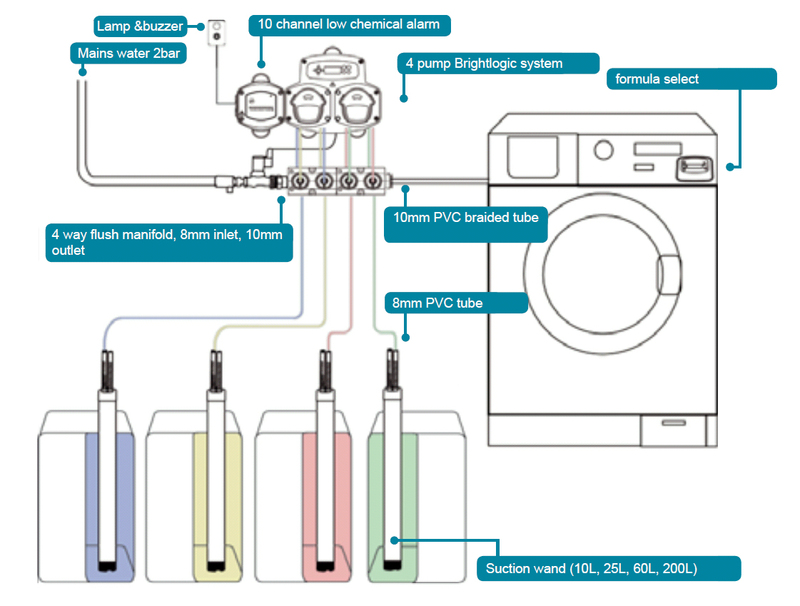 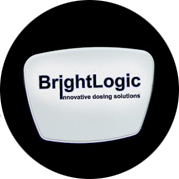 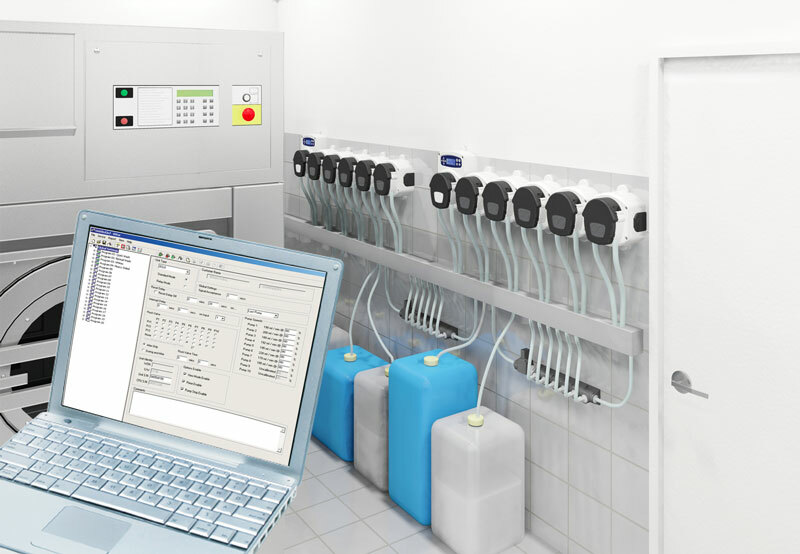 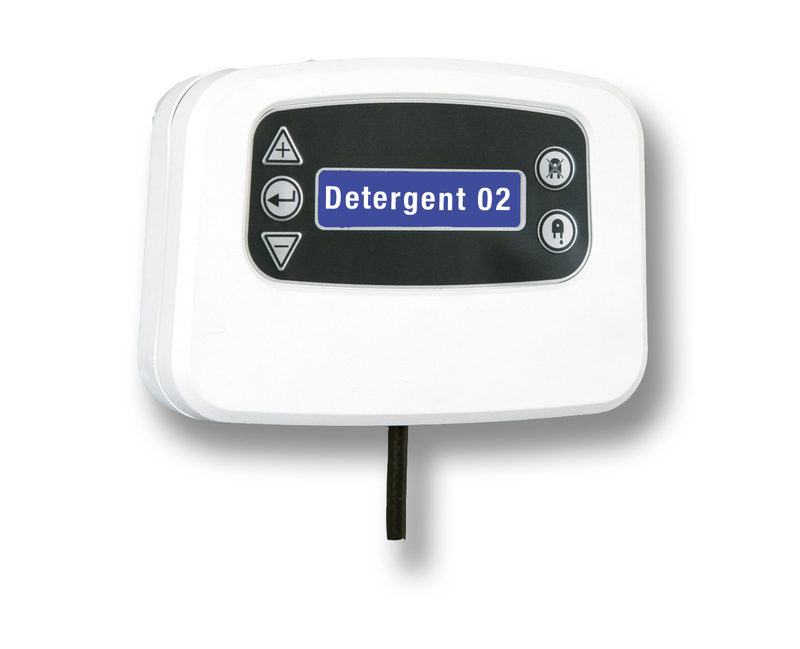 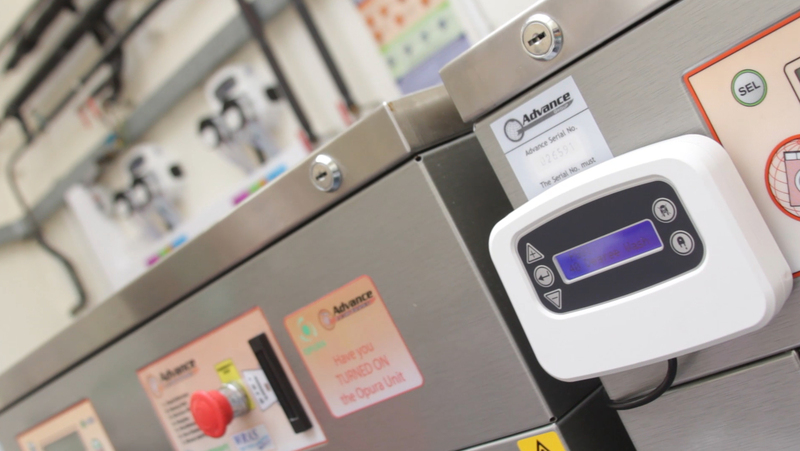 The BrightLogic on-premise laundry dosing systems can dose from 1 to 10 chemicals with a flow rate of up to 10oz* per minute. 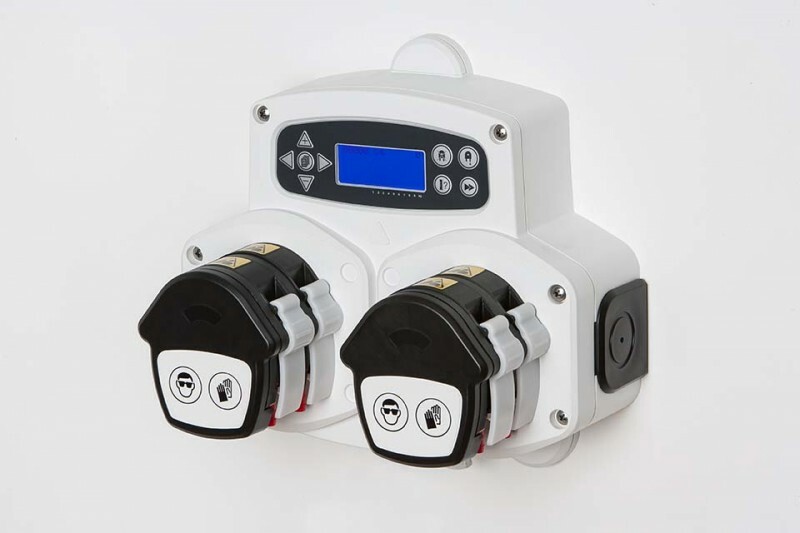 The space saving patented double pump head is easy to install and maintain thanks to the quick-tube-change configuration. 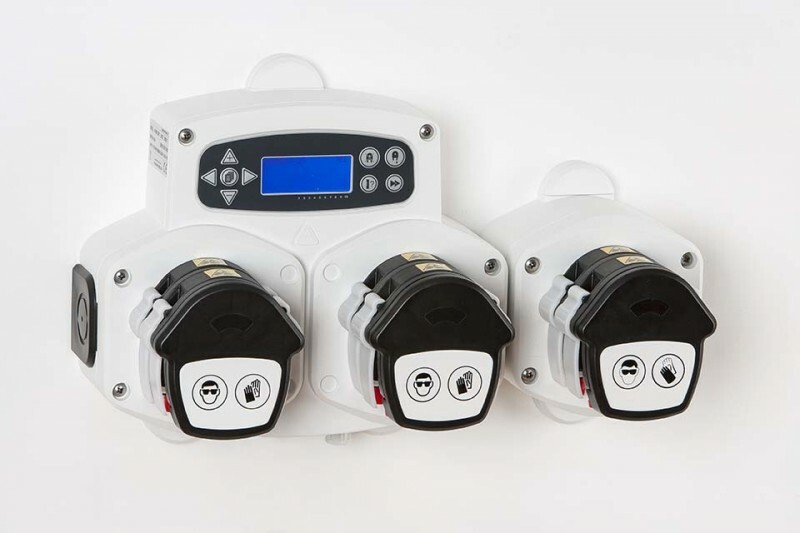 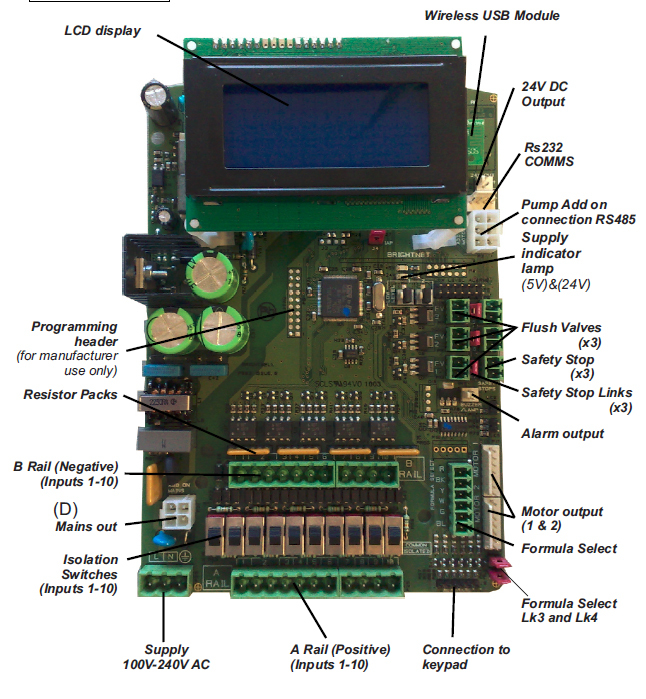 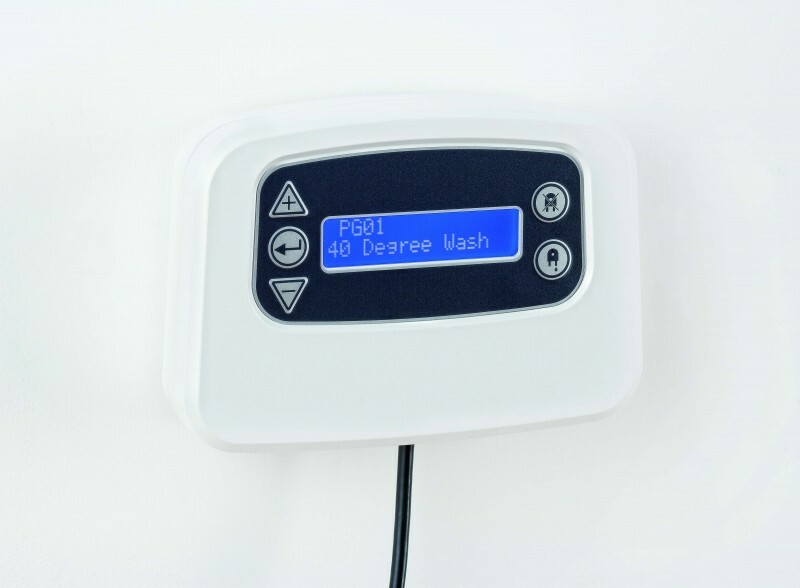 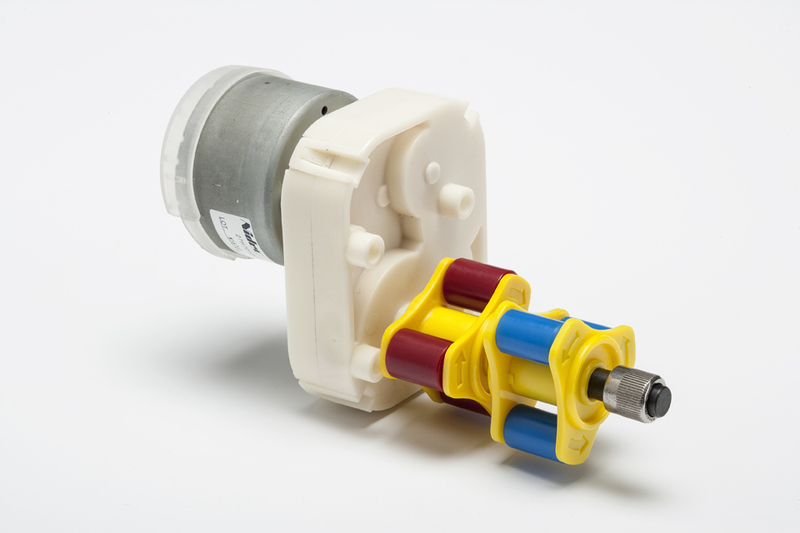 Suitable for both intelligent and non-intelligent washing machines up to 75 lbs, they can be used in relay mode or with a formula select programmer. 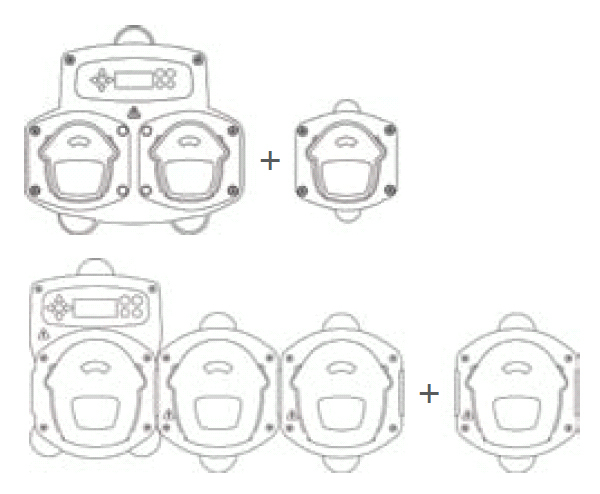 11 1/4" x 7 1/2" x 6 3/4" L4 - 10 1/2" x 7 1/2" x 6 3/4"
L6 - 10 1/2" x 16 3/4" x 6 3/4"
L8 - 10 1/2" x 22 1/4" x 6 3/4"
L10 - 10 1/2" x 28" x 6 3/4"
1 1/2" x 1 1/2" 1 1/2" x 1 1/2"